1 kasuri blouse : cotton ; 27 x 19 in. Accompanied by matching skirt, 2004.1.31. 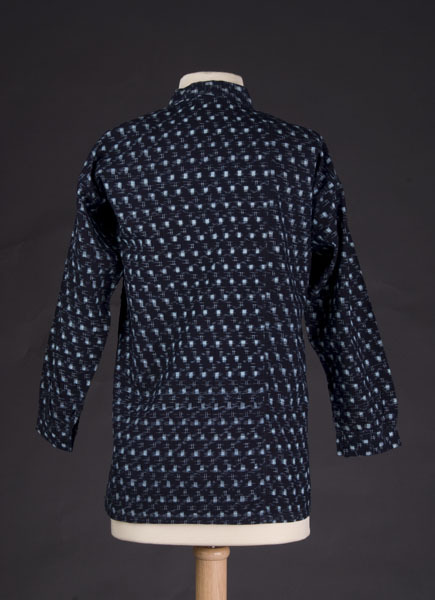 Dark indigo blue kasuri blouse with turquoise square basket weave pattern. Long tapered sleeves with underarm gusset, narrowing to (1.5 in.) cuff and one mother of pearl button. 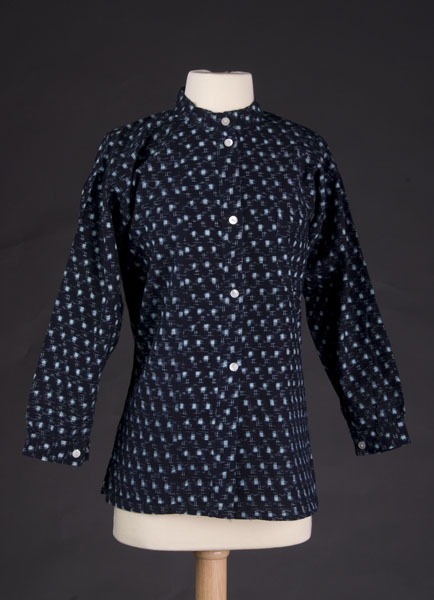 Blouse has 5 buttons including one on mandarin collar, placket front and handmade buttonholes. Pocket on proper left front (4.5 x 4.25 in. ).